United States History for 8th grade covers events and issues from the Age of Exploration through post Civil War Reconstruction and the western movement, emphasizing those periods through the 16th and 19th centuries. Units covered will include: physical and political geography of the United States; Native American Cultures, Political and Physical Geography, Government (Origins and Practices) and the Causes, the Courses, and Consequences of Conflict. History will be taught thematically in chronological order. Students will be tested and held accountable for knowing all 10 state core Standards. Additional content may be covered as time permits; particularly when relating to the present. The Current Unit tab on the right will be updated periodically to reflect the current unit being studied in U.S. History. Past and future units are available at the bottom of the page. Money donated will be used to pay for: 1) Purchase a chrome lab 2) Upkeep and replacement of classroom computer labs. 3) Purchasing texts and class copies of historical novels, Make a donation by clinking on the "Donate Now!" link on the left. On arrival at the Alpine Foundation page scroll to the bottom of the page and click on the "DONATE" button on the bottom right hand corner of the page. After submitting your credit card, bank or paypal information you will be asked to review your donation. BE SURE TO IDENTIFY THE PURPOSE of your donation, i.e. Willowcreek: Mrs Cindy Ness, U.S. History; otherwise the instructor will be unable to access these funds to help your student in the classroom. 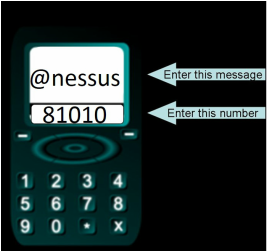 Open the hyperlink on the left to access phone numbers and textcodes for receiving text reminders and study aides for homework and WalkAways. To access a copy of the Utah State Core Standards open the link on the left. The links below will direct you to the curriculum studied in U.S. History, current units are at the top of the page. Within each link you will note there are copies of instructional PowerPoints, lecture notes and guides, supporting videos and links to helpful web sites. Should you miss class, these learning activities will assist you in completing your work at home. In addition to the written learning activities, you will find oral podcasts of many of the novels read in class as well as recordings of the content lectures. Please note if listening to the podcasts in class you are required to use headphones. If necessary the instructor can provide you with headphones in class. I love teaching U.S History; in fact I have been teaching U.S. history for almost 3 decades, far longer than most of my students have been alive. I am currently teaching U.S and A.C.A.D History and Spanish I at Willowcreek Middle School. In addition I am an instructor at BYU and an adjunct professor at Weber State University. I am passionate about teaching a viable, standards based US History curriculum. My hope is to facilitate students in better understanding the world and their role in it. I look forward to assisting you in coming to know your personal, and our collective history; as you do so you will know and understand your past and present, and will in turn have the tools available to better determine your present.